Gold Coast based Acoustic Trio seeks an experienced Female Vocalist to complete our line up. Style in The Eagles and easy laid back Country / Rock covers. 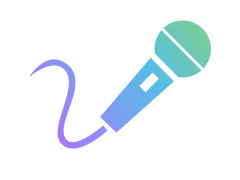 Working with seasoned pro players and writers we want to introduce some original music into the mix so someone who is confident in writing lyrics would be pefered. Would like to aim for Sunday arvy type gigs asap. We need someone who can jump straight in, great improviser, reliable, dedicated and have ownership to the Trio. Must be able to dedicate. Help with bookings and have ownership of the project.